I remember seeing a commercial years ago for “Video Catnip,” a DVD of nature shots designed to stimulate and entertain your cat. But it turns out that there’s a free alternative waiting for you on YouTube.It’s called (simply enough) Videos For Your Cats, and it features high definition videos of birds, fish, and even crickets to kill your cat’s boredom. I took it for a test drive last night, mirroring my laptop’s display to the television. My cat Jedi was immediately fascinated on a level that other toys and games failed to reach. If you want to give it a try, head over to Koley’s channel and see if your resident feline will take the cat bait. 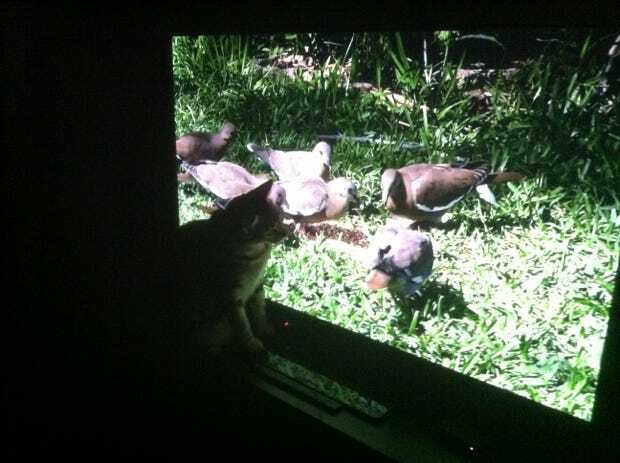 I recommend the bird videos.